Let us put our decades of experience and proven ability to build profitable companies to work for you. We combine the capabilities of well-seasoned senior business executives with over 30 years successful entrepreneurial and corporate business experience with innovative business acumen and strong academic credentials to provide an unbeatable business team to help you advance your business. We draw on our experience in founding and building five companies, holding key management positions in large corporations and small businesses, and providing professional and technical support to more than 300 corporations, small businesses, government agencies, non-profits and educational institutions to help you set and achieve your business goals. Since 1996, Ed has devoted his efforts to helping startup and established businesses develop and take the steps necessary to achieve sustained growth and profitability. A recognized business expert he has assisted more than 100 companies in all areas of business including planning and strategy, organization and management, operations, marketing and sales; and finance and capitalization. A life long student of business, Ed is well known for his ability to quickly identify and develop sound solutions to complex business issues. A business survivor of four serious economic downturns, Ed has developed his own twenty question program for helping businesses not only survive such challenges but even grow and prosper during difficult business periods. Ed has over 30 years management experience including 20 years as a CEO. His accomplishments include co-founding Election Technology Company, a software company that became the leader in its field providing software to state and local governments throughout the United States; leading National Scientific Corporation, a Washington DC based high tech consulting firm with national and international clients; and establishing Your Office By The Sea, a retail office supply, furniture and equipment business. He served as HR director for George Washington University and Medical Center with responsibility for over 5,000 positions and as a member of the executive management team of Rust Engineering Company, a major designer and builder of large industrial plants and facilities. Ed is a member of the faculty of the North Carolina State University College of Management and Department of Agricultural and Resource Economics. 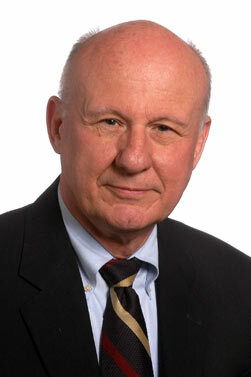 He teaches business policy and strategy, marketing, entrepreneurship and personal selling. He is the faculty advisor to the Triangle Collegiate chapter of the American Marketing Association. He is a certified Kauffman Foundation FastTrac™ instructor in business planning and development, an eleven session program the graduates of which enjoy a greater than 70% success rate in starting new businesses that are successful and profitable five years later. For eight years Ed was the Chair, facilitator and executive coach for a group of 15 non competing businesses owners and CEOs. In this role he organized monthly meetings and ensured that the meetings addressed key business issues and each member was held accountable for their actions. He secured quarterly national speakers who spoke to and worked with the executive group on topics critical to their businesses. He also worked individually with each executive in a monthly two hour confidential one-on-one session. Ed is an accomplished speaker and facilitator, was a delegate to the White House Conference on Small Business and has appeared on national radio and television. He has published numerous articles on subjects related to a broad range of business topics. He is a member of the Association for Corporate Growth, Council for Entrepreneurial Development and American Marketing Association. Ed has a BA degree from the University of Richmond, an MBA from George Washington University and has completed postgraduate studies at the University of Virginia. He has attended and continues to attend numerous professional training seminars and workshops. Sue’s extensive entrepreneurial background serves her well as co-founder and Director of Venture Management Inc. where she provides coaching, mentoring and facilitation services for business leaders. She developed and directs the Business Leaders Exchange program that provides a forum for CEOs to learn and improve their leadership, strategy and foundational business skills in an environment of peers facilitated by seasoned coaches and mentors. Her experience serving business clients in a multitude of fields has given her a true understanding of the entrepreneurial mindset and a knack for effectively addressing critical business challenges. She addresses business issues ranging from transition planning, leadership, marketing analysis, sales incentives, key indicators and operations processes and procedures. Her extensive experience gives her the unique ability to see the big picture of a business at any stage, identify the areas of concern, drill down into the areas of weakness and develop sound solutions. She holds a business coaching certificate from NCSU and has well over 750 hours of one on one business coaching experience. As a TEC International (now Vistage) Chair, Sue facilitated monthly meetings of non-competing business owners, presidents and CEOs, conducted business best practices workshops and worked one on one with individual executives. Sue is also a certified and experienced Kauffman Foundation FastTrac™ business planning lecturer and facilitator. Sue is a veteran of four successful startup companies. As co-founder of Office Technology Corporation she led numerous technical consulting engagements for large corporations, governments and non-profits. She co-founded, led and managed software development, installation and customer support for Election Technology Company serving state and local governments throughout the US. She also co-owned and was responsible for retail layout and operations of Your Office by the Sea at the Outer Banks of North Carolina. Prior to holding executive and management positions in a variety of high technology companies, she taught high school mathematics, was a programmer and computer analyst developing and implementing basic business systems and provided systems consulting services to private businesses; government organizations, and national associations. "They give you information about your business you were not aware of and strengths and weaknesses to address that were being ignored. Their real world experience prevents you from making costly mistakes." "One of the wisest things I ever did was to hire and become associated with people who were smarter than I." "You have the perfect strategy for the results you are getting."